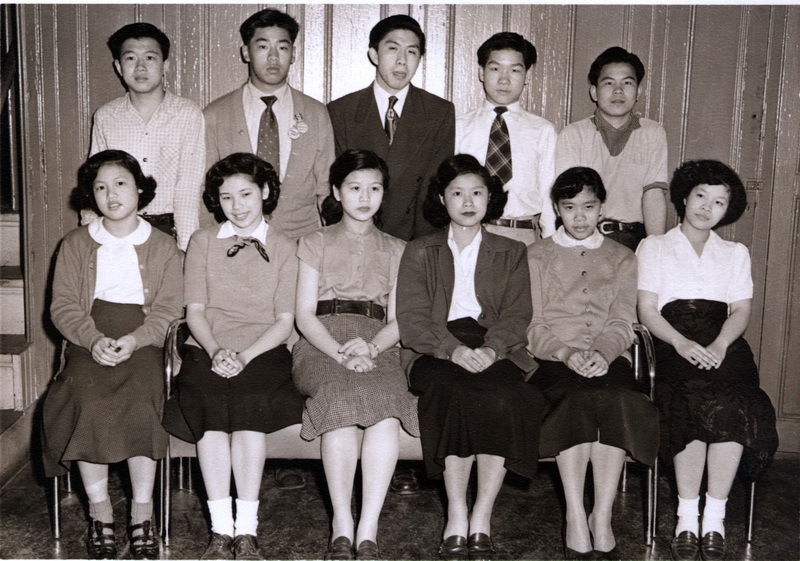 Rita Lau graciously shared these photos from 1950. Please note the variant name spellings due to Mandarin and Cantonese pronuciation and other dialectical differences. 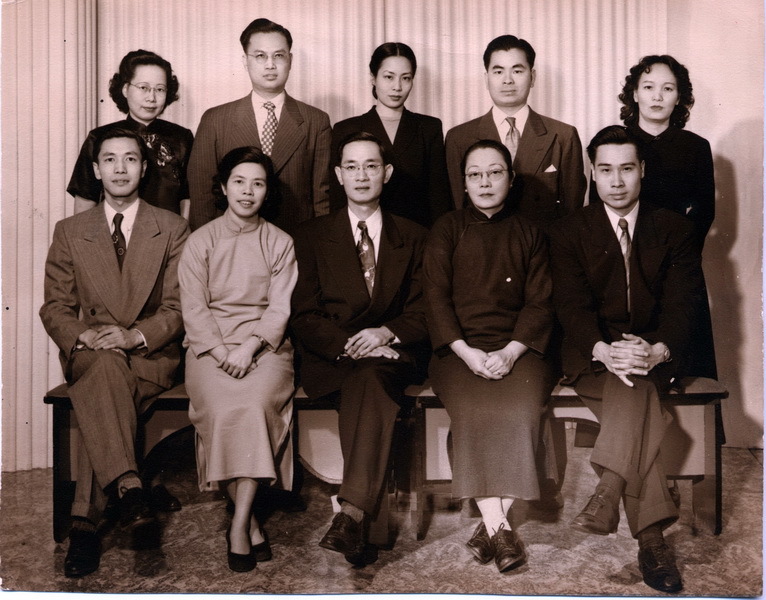 Back Row Lew Shen Shan Pon Seen Soong Ms Linda Wu (Wu Seen Soong); a noted sculptor and later the principal of the Chinese School. 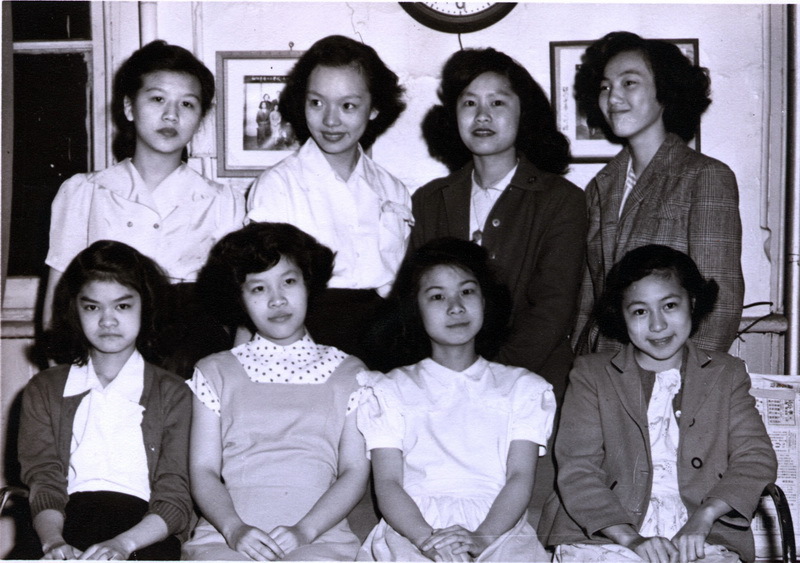 Ms Chin; (Chun Tai); she was then the first grade teacher. 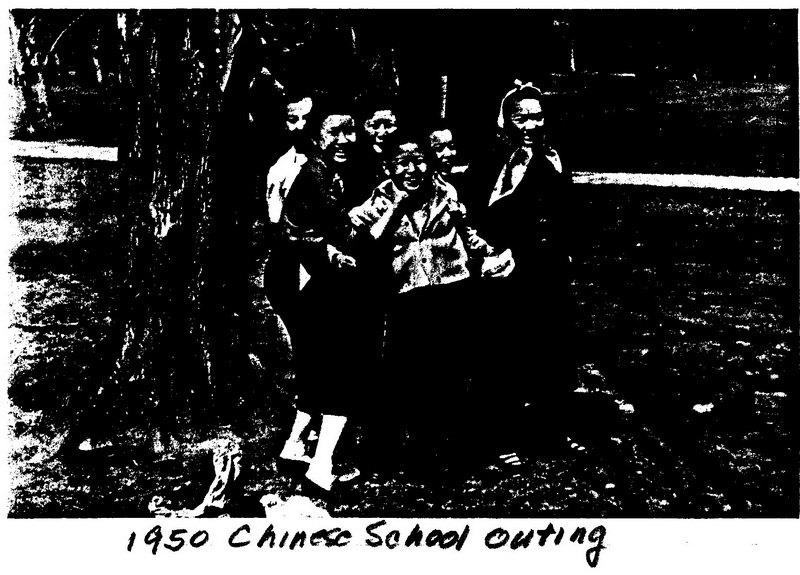 1950 Chinese School Outing – Can you name them? Student 1? 2? 3? Harry Woo 5? 6?